SME Solicitors is again sponsoring the RGS Worcester debating team for this academic year. 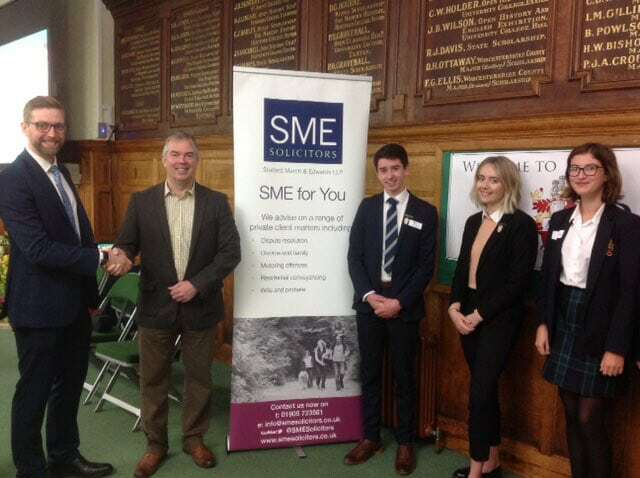 RGS Worcester and SME Solicitors have a long-standing relationship going back many years and the firm is always pleased to show its support for school activities. SME was involved when RGS debating was set up a few years ago and is delighted to be able to assist again. SME Solicitors is a full service legal firm based in Sansome Walk, Worcester. For further information please see www.smesolicitors.co.uk or call 01905 723561.